We are proud to announce that our REU (Research Experiences for Undergraduates) supplement program for the PRAISys project will officially start this summer from May 29, 2018. This REU program is funded by National Science Foundation , aiming to provide undergraduate students with an opportunity to learn how to harness data collection skills and to enhance the concept of disaster resilience. 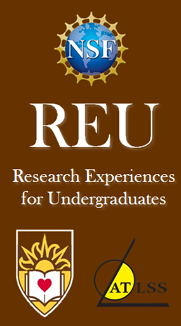 Our REU project offers a deliberate program of research and study, and pairs each student with one or two dedicated faculty mentor(s) and one graduate student. In addition, our REU participants will join the ATLSS REU program for a series of seminars and tutorials, in order to ensure that students will be knowledgeable about the academic writing skills and the key concepts and technologies in multi-hazard and disaster resilience, and inspired to pursue further education and life-long careers in engineering. Each student will be pair a stipend of $5,000 for 10 weeks from May 29, 2018 to August 4, 2018. Participants must be on campus for this entire period. We are very happy to have two undergraduate students, Natalie Rosato and Chase Gallik, joining the REU program to work on the data collection of hazards and infrastructures in our two testbeds: the Lehigh Valley in Pennsylvania and the south Florida.